Scooper - Technology News: Is uncertainty over Brexit damaging the UK economy? Is uncertainty over Brexit damaging the UK economy? 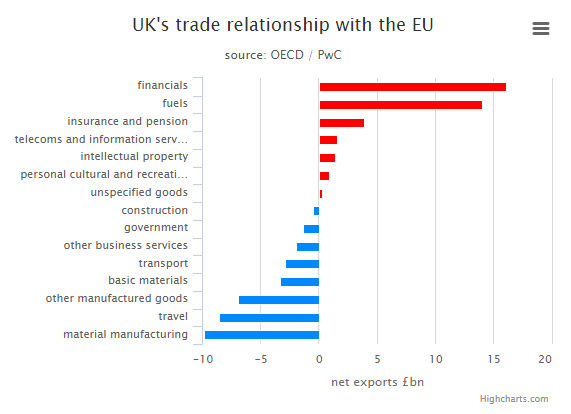 Is uncertainty about the outcome of the referendum on Britain’s membership of the EU damaging the UK economy? As the opinion polls have narrowed, City economists report that clients are interested in little else. Questions about Britain’s deficit reduction strategy or the timing of the first interest rate rise have been pushed off the agenda as investors start to take the prospect of a vote to leave seriously. If consumers and companies delay their spending decisions as a result of the referendum, the UK’s economic recovery could be undermined. The first big test will be the GDP figures for the first quarter of 2016, which are released at the end of April. But recent data already offer signals about the potential impact. The free-spending British consumer has been the driving force behind the economic recovery and appears to be shrugging off Brexit worries. Near-zero inflation during the past year has meant pay increases have fed through to higher disposable incomes. Retail sales continue to perform strongly and consumer credit is growing by 9.3 per cent year on year. Consumer confidence, while down from the peaks seen last autumn, is still high by historic standards. But within the detail of the GfK consumer confidence survey, a notable wedge is developing between households’ perception of their own financial situation and the wider economy. There has been an 18 percentage point drop since last March in how consumers expect the economy to pan out during the next 12 months. But there has been a drop of just 2 points during the same period when people are asked about the outlook for their personal finances. By contrast, there is little doubt that Brexit-related uncertainty is hitting business confidence, particularly among big corporates who, because of their international profile, would be most exposed to any exit from the EU. All the surveys are picking up jitters. In recent weeks the CBI business lobby group reported a sharp drop in optimism among financial companies in its March survey, while Deloitte showed that hiring and investment intentions have plunged to a three-year low. Both cited Brexit uncertainty. The clear impression is that big businesses are sitting on their hands ahead of the vote and delaying any decisions they do not have to take. The latest official data show that business investment fell by 2 per cent in the final quarter of the year. The pace of jobs creation has slowed somewhat this year. The number of people in employment rose 205,000 in the three months to December but just 116,000 in the three months to January. Most surveys also report weaker hiring intentions. Here it is a mixed picture. While in January, the government suffered a rare near-miss in a debt auction, with the number of orders only just covering the debt it wished to sell, recent auctions have been more robust. The need to find safe positive yields are trumping political concerns for most gilt traders . On the day the referendum date was announced, a sale of inflation-linked gilts attracted bids of £10.5bn — four times the amount on offer. The picture though is very different in sterling, which has fallen sharply since the autumn . A run of weaker economic data has had an impact, while the bet on interest rates rises is now off the table. But the overwhelming majority of currency strategists point the finger of blame firmly at Brexit risks. When Boris Johnson, the London mayor, declared his support to leave at the end of February, the pound suffered its biggest one-day drop since October 2009. The costs of insuring against a plunge in value after the referendum vote have also soared. In the equity market, a poor performance from nearly every sector meant the FTSE ended the first quarter of the year in the red. But amid a tumultuous first six weeks of the year — where most of the main global indices hit multiyear lows on jitters about the Chinese economy — it is hard to pin the blame just on Brexit worries. The index is also full of international companies, meaning domestic worries often do not have the same impact as on other markets.